This article is near and dear to our heart. 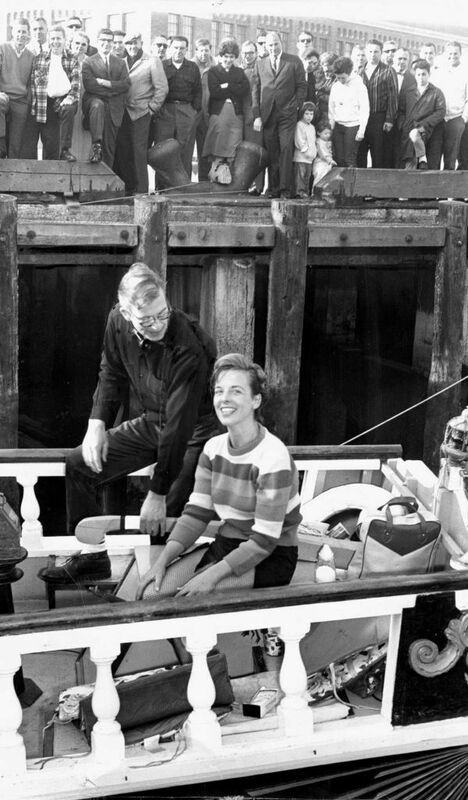 The founders of C. Crane, Bob and Sue Crane, hail from the Bay Area and our very first radio ad was with KGO. We hope you enjoy this history. Shared with permission of Peter Hartlaub and the San Francisco Chronicle. Welcome to Our San Francisco, a yearlong project looking at 150 years of the city’s history. Each week a different chapter will be explored in the newspaper, on SFChronicle.com, in Peter Hartlaub’s The Big Event blog on SFGate.com, and on social media at #OurSF. This week’s chapter: Radio in San Francisco. The children of San Francisco were the first to discover the wonder of radio. The equipment had been stocked in a small corner of local toy departments for years. But on March 20, 1922, the Emporium department store staff moved one of the radio receivers upstairs, and tuned in to a broadcast of an orchestra playing live across the bay in Oakland. The press and 50 other adult listeners were so amazed, they had to be pulled away from their headsets. San Francisco was an important town, for both the invention and development of radio. The spirit of innovation and the willingness to embrace technology has many parallels to the city’s startup culture today. Then, once that technology became widespread, San Francisco found ways to reflect the expressiveness and eclectic nature of its population. Through nearly 100 years of broadcasting, the city has produced more than its share of broadcast legends. 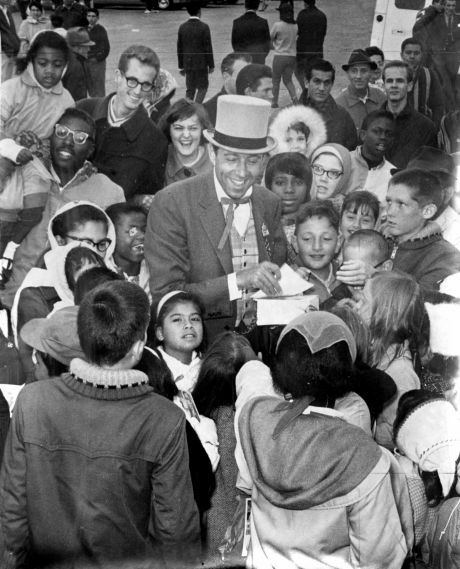 KSFO disc jockey Don Sherwood with Jiny Knott aboard the Monty Bandar draws an adoring crowd in 1965. San Francisco’s first radio stations emerged in the 1920s, but the technology had been experimented with locally for more than a decade. The words “radio station” appeared in The Chronicle as early as 1913, when the Navy was searching for a San Francisco site to locate a West Coast radio hub. Stories about military uses for radio technology appeared in The Chronicle throughout World War I. But radio invention, and even some noncommercial broadcasting, had been happening under the media radar for years. Charles “Doc” Herrold’s KQW originated in 1909, when the inventor conducted a broadcast between two buildings in downtown San Jose. He received the first radio license in U.S. history, then brought his “receiving booth” to the Pan-Pacific International Exposition, where stunned visitors heard a live test broadcast from Santa Clara County. KDKA in Pittsburgh has widely been credited as the first radio station, debuting with scheduled programming on Nov. 2, 1920. But that was disputed by friends of Bay Area resident Lee de Forest. 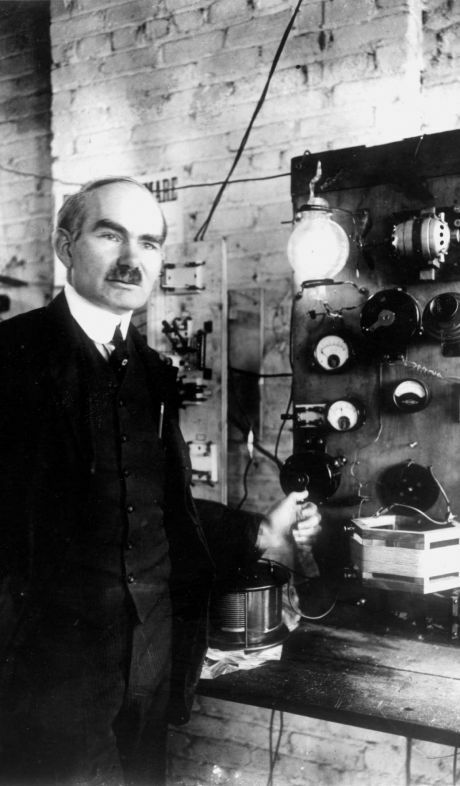 The wireless pioneer, who had proposed to his wife by telegraph in a San Francisco hotel in 1906, may have had a radio station operating in Marin County six months earlier. Lee de Forest, the wireless pioneer, may have had the nation’s first radio station operating in Marin County six months before KDKA in Pittsburgh — widely credited as being first — debuted Nov. 2, 1920. “The California theater in this city had broadcasted more than 700 concerts and entertainments before the Pittsburgh station was opened, and all the credit to launching radio broadcasting on schedules belongs to de Forest,” Ellery Stone, one of the station’s builders, said in a 1922 Chronicle article. When the potential of radio reached consumers, it caught on like few cultural sensations before or since. Much like television in the city nearly 30 years later, the hype was fueled by retailers, who started selling radio receivers on the promise of the future. For the following months, the newspaper was filled with local radio updates and advertisements. The Chronicle’s “Radio Question & Answer” column included news about parts and electrical diagrams for home radio enthusiasts who were trying to hotwire a set on the cheap. Four new stations arrived in May 1922, including KPO, which was owned by Hale Bros. department store and broadcast at the Fairmont Hotel. By 1923, there was a station at the Hearst Building (KUO) and the Oakland Tribune (KLX). 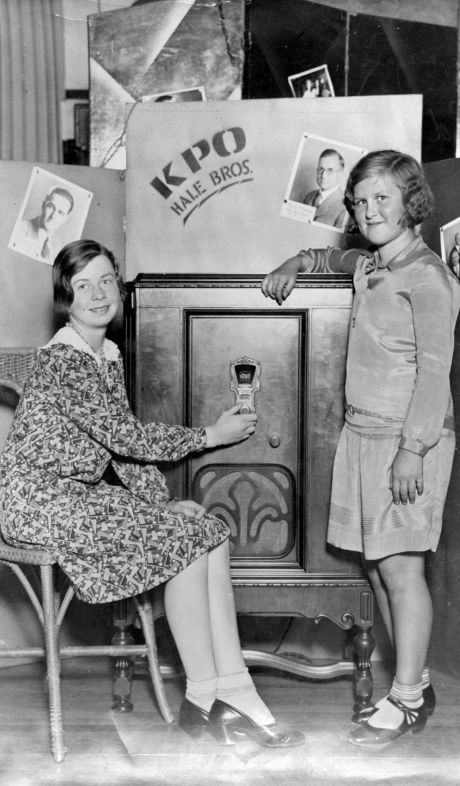 Bernice Baumgartner and Edith Nare listen to radio KPO in 1930. KPO was one of four new stations in S.F. in 1922. KPO was owned by Hale Bros. department store and broadcast at the Fairmont Hotel. Radio stations quickly started to diversify beyond opera, symphony and big band music. In one afternoon in 1923, KSL offered college information for high school students, a poetry reading and a home economics course in one two-hour block. (“KSL is also conducting a radio course in hygiene and baby care in the mornings, bringing expert nurses and physicians to the broadcasting room to send out information for mothers,” The Chronicle reported.) Another 1923 article explained in detail the benefits of radio in case of a zeppelin attack on San Francisco. While radio was exploding in popularity, it still looked antiquated in those first two years, with a lot of programming but very little focus. Harrison Holliway, a former sports writer with the San Francisco Call, took over KFRC at age 23. 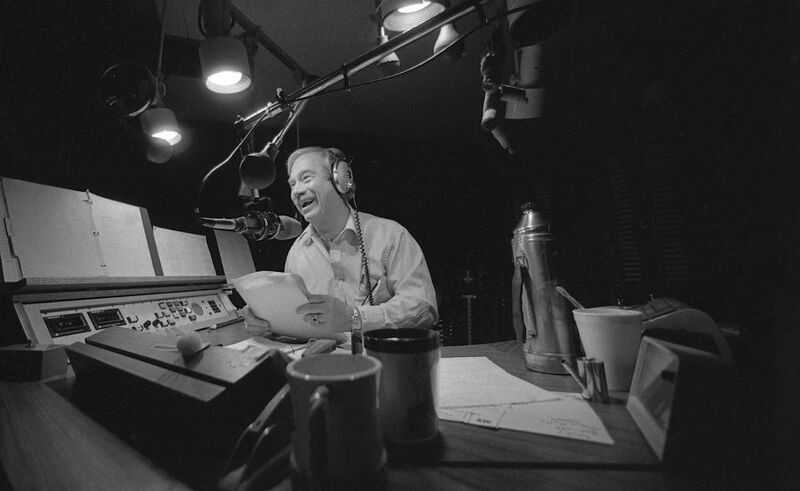 He had a knack for programming, bringing the Bay Area’s first radio celebrity interviews, children’s shows and sports coverage. Holliway’s “Blue Monday Jamboree” was an early version of the modern wacky morning zoo, mixing music and comedy while promoting “stunt” broadcasts in unique locations including a cruise ship. Holliway departed for Los Angeles in 1936, but he had left a strong impression on the market. San Francisco had gotten used to broadcasters who pushed the boundaries, and craved content that was smart and fun. It also resulted in some unforgettable stars. This chapter of Our San Francisco would be nothing but a list if we included them all. But we choose to start with Don Sherwood, the self-proclaimed World’s Greatest Disk Jockey, who was known for his clashes with colleagues and management as much as his popularity — working mostly at KSFO in the 1950s through 1970s. 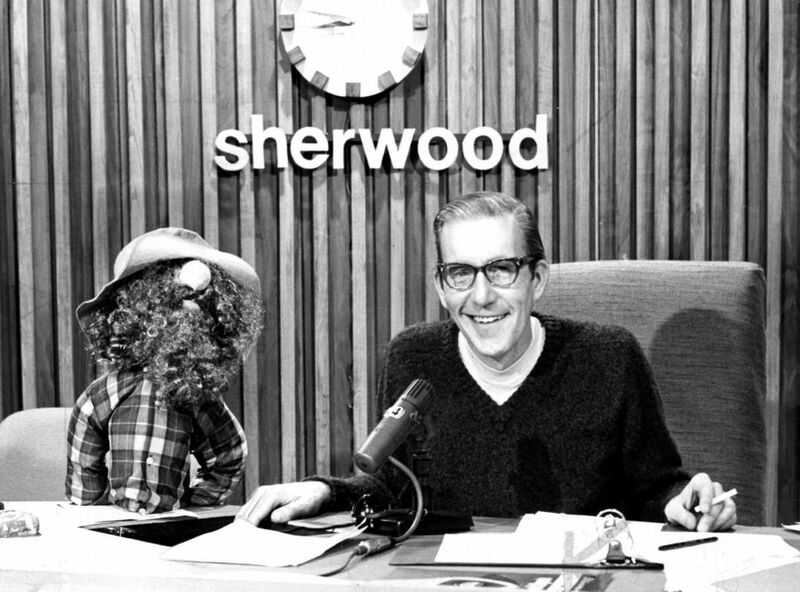 Sherwood quit his first job on KSFO in the 1950s, briefly relocated to Hawaii, came back for a television job, and got into trouble for a spirited on-air defense of the Navajo people. Chronicle columnist Herb Caen was a fan, but also seemed to enjoy stoking controversy around the popular star. The middle of the 20th century was great for local radio, assisted by government regulations that strongly encouraged independent ownership, and stopped radio corporations from owning more than one station in the market. 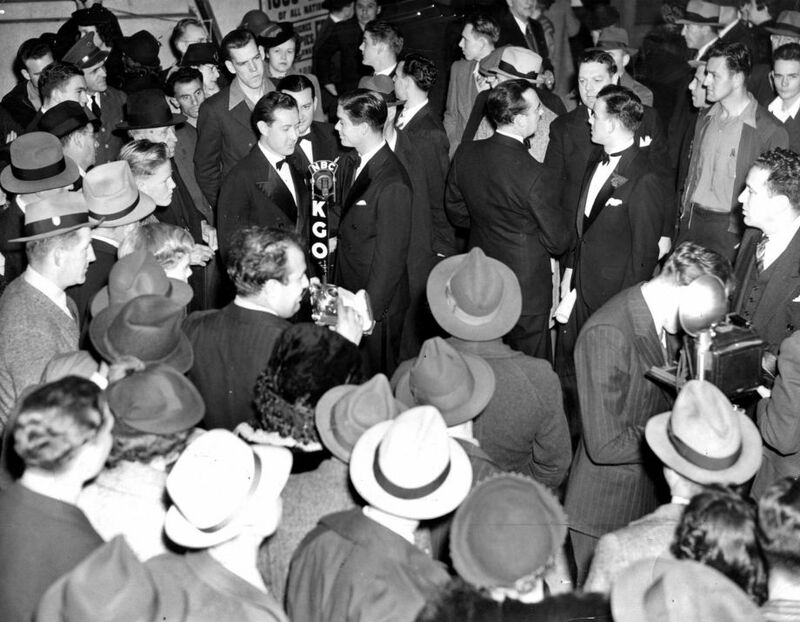 KSFO cemented itself as a powerhouse in 1958, luring Russ Hodges from New York and pairing him with Lon Simmons to broadcast the San Francisco Giants, who had just arrived from New York. Hodges publicly embraced the move, and felt as comfortable in the city as any native. Hodges and Simmons continued a tradition of solid Bay Area pro sports broadcasters, from Bill King to Bob Fouts to Greg Papa to the current stellar lineup of Duane Kuiper, Mike Krukow, Dave Flemming and Jon Miller with the Giants. 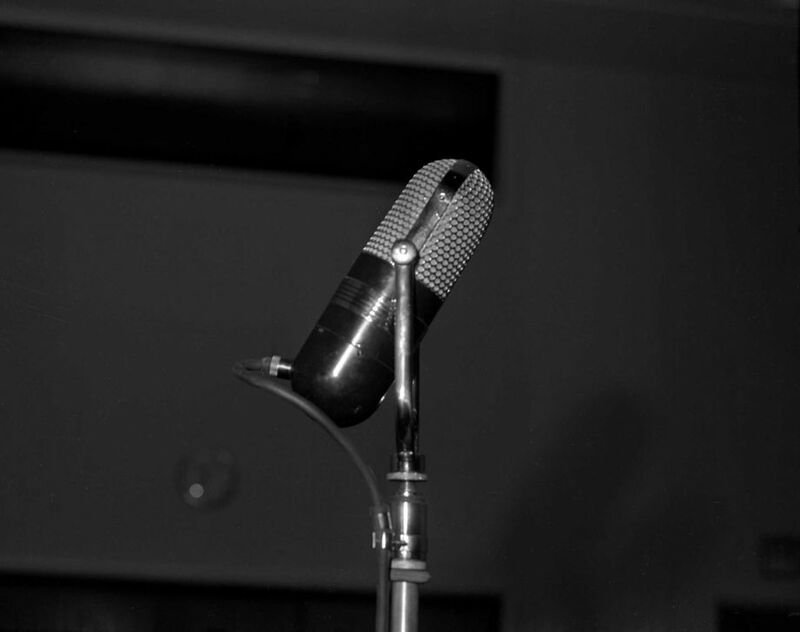 The call-in talk show premiered in the Bay Area in the 1950s, allowing listeners to become part of the show, and shifting the dynamics of San Francisco radio. Iconic disk jockeys, including Al “Jazzbo” Collins, Carter B. Smith and Russ “The Moose” Syracuse, rose to prominence in the early 1960s, while KSOL and KDIA (in Vallejo) brought soul music to the Bay Area, bonding with the previously ignored African American communities, and saturating the San Francisco airwaves with Motown and R&B. Locals were able to make a huge impact building radio stations from the 1950s to the 1970s, often starting with almost nothing. Jim Gabbert is a good example; the Stanford electrical engineering student built K101 into a powerhouse, before selling several stations and buying TV-20. Another positive trend in the 1970s was the better-late-than-never rise of the female disk jockey. Diana Blackmon on KDIA and Shana Livigni on KFRC were pioneering female DJs in Bay Area radio, while Belva Davis started her radio career at KSAN in 1961. (KSAN also supported Dusty Street and Bonnie Simmons, popular DJs who started in the late 1960s and early 1970s.) Spanish-language stations grew in popularity during this era as well. KFRC returned to prominence in the 1970s and 1980s, with Dr. Donald D. Rose forging a strong relationship with listeners with a combination of rock music and goofy shtick. By the 1970s, radio hosts were some of the biggest media stars in San Francisco. Stations such as KSAN, KMEL, KITS, KOME (in San Jose) and student station KUSF developed unique shows and loyal followings, launching popular iconic hosts including Alex Bennett, Terry McGovern, Don Bleu, Tony Kilbert and Renel Brooks-Moon. KFOG had a particularly long run, playing rock music that was off the beaten path for decades, with Dave Morey leading the cult of Fogheads. Doctor Don Rose was a popular morning drive-time disc jockey. KNBR has produced a steady stream of memorable hosts, from Pete Franklin to Tom Tolbert. KQED-FM was built as an arm of the public television station, with smart programming including Michael Krasny’s long-running “Forum.” KCBS, a descendant of Doc Herrold’s KQW, settled into a reliable all-news format. KGO was for decades a ratings leader, dominating with a roster of talk show hosts. Here’s an excerpt from The Chronicle’s 1976 interview with KGO’s brand-new host Ronn Owens, who was interviewed while sipping wine and photographed — no exaggeration — wearing a silk shirt opened to a fountain of chest hair. Owens remains at KGO, but the station has struggled with plummeting ratings in the last decade. Looser rules have allowed consolidation, and most Bay Area stations are now part of a larger group with out-of-state owners, a depressing development for listeners who grew up in the era of Sherwood, Syracuse, Blackmon, Morey, Simmons and Hodges. But San Francisco radio isn’t dead — it’s arguably closer to its roots than ever, even as corporate radio has stripped San Francisco’s larger stations of much of their uniqueness. San Francisco station KPOO has been embraced by the community, and independent public radio station KALW (an FM radio pioneer) remains a treasure. Online radio stations including Soma.fm, the Mission District’s Radio Valencia and BFF.fm have brought the pirate radio vibe back, with the kind of eclectic and experimental programming that the first Bay Area broadcasters experienced. A microphone at radio station KNBC. And the greatest asset for San Francisco radio hasn’t changed: intelligent and opinionated listeners, who want their broadcast talent to be the same. We’ll let 1976 Ronn Owens have the last word on that. San Francisco came in the picture in the late 1920’s (around 1927) when Philo, his wife Pem, and a few assistants labored for about a year to develop the first practical electronic TV system with his image dissector. They were successful! It took place at Farnsworth’s laboratory at 202 Green Street in San Francisco. My mother, born in San Mateo in 1907, loved KGO and listened daily until her death in 2002. To her, TV was sort of a passing fancy, though I have to say it was family time in 1957 watching Ed Sullivan in B&W on sunday nights in a little town in the Salinas Valley with one broadcasting station coming into a TV antenna perched high above on the garage roof. Born in 1942, I vaguely remember the WW2 FDR broadcasts coming through a RCA floor model with the head of a vacuum tube above the rotary dial. I still have a gate pass that my father obtained for a 8/24/1936 wrestling double event at the Oakland Auditorium featuring Stacy Hall and “Wildman” McCann and Tarzan Orth and Pete Belcastro. It was put on by Louis Parente and the F-R-E-E door prize is stated to be a Philco Consol Radio! Crane radios have sort-of brought these times back for me. Thanks for the products and the memories. Thanks for all the great history of the Bay area! In late grammar school (1962-1964) I strung an antenna from a Belflower apple to a telephone pole in King City, CA, and listened to KGO on an old (then) tube radio. Ira Blue was my late-night favorite. I was surprised that he was not mentioned. I wanted a CC Radio, to be sure, but when I graduated from grammar school, my parents gave me a portable Zenith Trans-oceanic, which was quite nice. I listened to KGO not only from King City, but also from Plaskett Creek Camp on the coast about 50 miles south of Big Sur. I did acquire a CC Radio when I relocated to Portland Oregon and have enjoyed its performance for many years. My favorite C Crane adverts on KGO were delivered by Bill Wattenburg who transmitted remotely from his home in the Sierras. His testimonial was based on a CC Radio that he used from his mountain home/retreat to tune in KGO. It was sad to experience the demise of old-fashioned talk radio at KGO. An end of an era.